6 Compartment trays for storing makeup and cosmetics. 1 drawer for storing jewelry and other essentials. Makes a great look on dresser, vanity table, or bathroom counter. 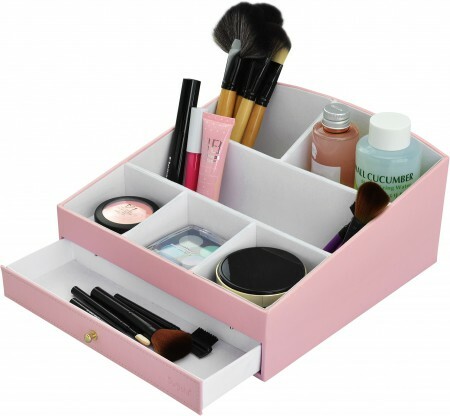 - 6 Compartment trays for storing makeup and cosmetics. - 1 drawer for storing jewelry and other essentials. - Makes a great look on dresser, vanity table, or bathroom counter.